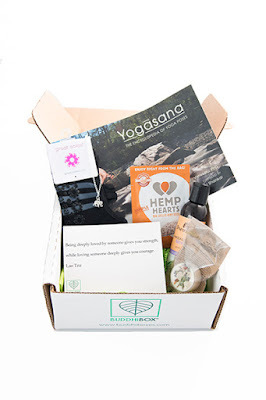 The BuddhiBox is one of my favorite subscription box services, and I always look forward to seeing what yoga-themed goodies will arrive in my mail box each month. As always, this exciting subscription box fuels your mind, body, and soul with a diverse selection of products including jewelry, beauty products, food and more.. The products inside are always perfect for anyone who enjoys Yoga or is working to achieve balance in their life. Here is a little about the awesome products in the March box. Fresh Feet Wipes - It's easy to neglect our feet, but they deserve a little pampering too! At the end of the day, you can freshen them up before you climb into bed with these peppermint wipes. They leave feet tingling and refreshed. Copper Cup Turmeric Latte - There were three sample packs of this latte. While I love lattes, I'm not a big fan of turmeric, so I'll be passing these onto a friend. Matr Boomie Scarf- This scarf is simply stunning. It's a beautiful ocean blue with pretty designs. The material is also super soft. Orglamix Turmeric Face Scrub- This scrub is made with only all-natural ingredients. It leaves your skin feeling soft and exfoliated. Konjac Facial Sponge Set - These sponges are made from root fibers, so they are all-natural and biodegradable. The white one can be used with your favorite cleanser. The black one is infused with charcoal to help exfoliate your skin. Yoga International -Ayurveda Women's Health Conference 30 Day Trial - This is a great website that offers online classes on yoga and meditation. This trial has a value over $140! 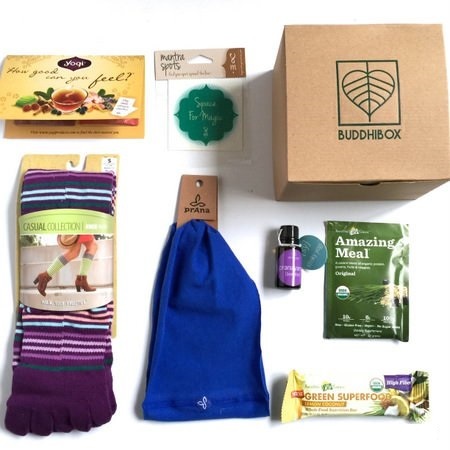 One lucky winner is going to receive a one month subscription to Buddhi Box. This giveaway will end on 4/10/18 11:59 EST. Open to the US only. The winner will be notified via email and will have 48 hours to reply. Thanks again to BuddhiBox for offering this fantastic prize. I learned there is a charity of the month and this month is Defenders of Wildlife, a nonprofit membership organization dedicated to the protection of all native animals and plants in their natural communities. 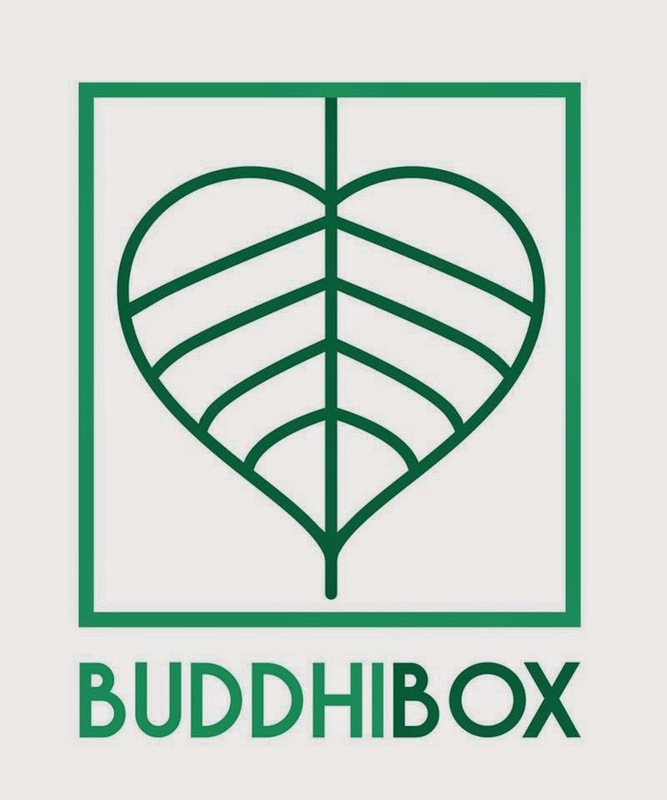 BuddiBox has 3 types of monthly subscriptions: Yoga, Jewelry, and Goods to enhance the mind-body-soul connection. If you refer friends, get $50 to spend in the store or a free Buddibox. Because the link didn't work in the contest to sign up for emails from isotoner in this email, I went to isotoner.com and signed up for the newsletter and to get 10% off. There are 3 subscription box options, and it was founded by a yoga teacher. I learned that this box was founded by a Yoga teacher. I learned that there are three boxes to choose from. 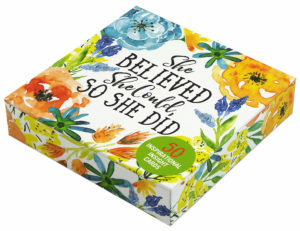 Yoga box which is a mixture, BBEO which has essential oils and crystals, and Jewelry. I learned Buddhi Box was founded by a yoga teacher. Discover a mixture of fitness accessories, skincare, and lifestyle products delivered each month! Founded by a Yoga Teacher. I learned that the March's BuddhiBox will include this beautiful Matr Boomie hand-dyed scarf. I learned they have multiple themes for the boxes and you can also purchase items separately. March's BuddhiBox will include this beautiful Matr Boomie hand-dyed scarf. Uniquely designed to preserve and honor traditional Indian art forms and created within fair trade practices. This will be your go-to accessory for spring! March's BuddhiBox will include this beautiful Matr Boomie hand-dyed scarf. I learned that each month the proceeds get donated to a worthy cause. I learned that their products are very unique. If I pick the yoga box, I trust that I'm not going to get something that I already own. they are also cruelty free and offer a 30% discount on your first box! April's box will be moon themed. I learned that their charity of the month is Bunny’s Buddies that rescues dogs from slaughterhouses in china. I learned that April's Moon themed BuddhiBox will include 6 items including a beautiful Crescent Moon Dish. 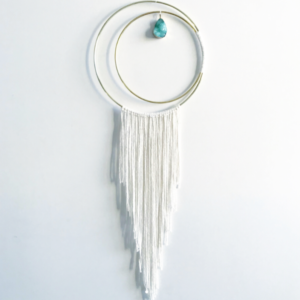 Perfect as a jewelry catch-all or to hold your sacred crystals and tokens. Love that products are cruelty free and company was created by a yogi. I learned that they have a refer-a-friend program. I learned you can choose between 3 different subscription boxes! Love that is has such a variety of products! I learned that their boxes are cruelty-free. That's awesome. I learned that they offer a variety of boxes, including a jewelry box. I learned that there are three sub-boxes to the BuddhiBox and they have some great items that go into boxes like for April there is a half moon glass dish. So cool. I love that they include animal charities such as Defenders of Wildlife, a nonprofit membership organization dedicated to the protection of all native animals and plants in their natural communities. I learned that BuddhiBox supports a nonprofit called Bunny's Buddies. Awwww!! When I read this my heart just melted. What a wonderful cause! They rescue dogs from China's slaughterhouses and find them homes here in the U.S. Bunny's Buddies,...you guys ROCK!!! It’s just refreshing to see a subscription box that isn’t about makeup. I like that it promotes what’s really important in life. I learned that their products are cruelty-free. Also, I loved the cat yoga tank. Fascinating and amazing to fjnd Yoga products that sbe'll love , my wife definitely would like to use for a nice time. 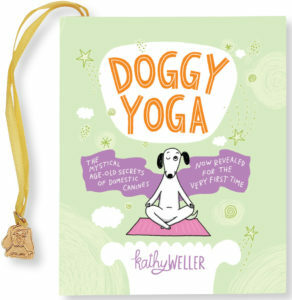 My lady friend would really like having and fjndig Yoga products that sbe'll love as just marvelous for all occasions. Captivating and fabulous to fjnd Yoga products that she'll love , my girlfriend would like to have and enjoy all of the time. Awesome fjnding Yoga products that she'll love would be just right for the day and my wife to use and have everyday.